Many clients around Mid-Michigan appreciate the services Heritage Home Inspection, LLC provides. When you are looking to buy or sell a property, call us to have it inspected first. See our customers’ testimonials to learn more. Logan did an amazing job! Not only was he thorough, but he was also trustworthy and professional. He took the time to sit down and explain everything to us. He answered any questions we had and it was very apparent that he genuinely cares about the well being of the people/families that will be living in the homes he inspects. Thank you so much! Very responsive and knowledgeable, Logan works well with agents and buyers and keeps us well informed! Highly recommend! As a first time home buyer, I was scared and knew I wanted to find a great inspector I knew I could trust. I am so happy I was introduced to Heritage Home Inspection. Logan was phenomenal! He provided me with a very prompt, accurate, and very detailed report. Even after the inspection, he took the time to explain additional questions I needed answered. He is very reliable and trustworthy. I would recommend him to anyone! Thanks Logan, for your great work! Logan, you went above and beyond in my book! We hadn't bought a home in 30 years, so the experience seemed a bit overwhelming. But, armed with your report, insights and recommendations, at least we knew what we were buying. Even the followup after the inspection was done and paid for, it was more than we could have asked for. We would highly recommend your company to anyone needing professional home inspection services. Thank you! Thank you Logan, for performing our home inspection. We were very pleased with your services. Home buying can be a daunting task, you eased this. We were very pleased and impressed with your thoroughness and step by step process of your inspection. The time you spent explaining everything you were doing and home maintenance tips and suggestions you gave throughout the inspection were much appreciated. Thanks again! 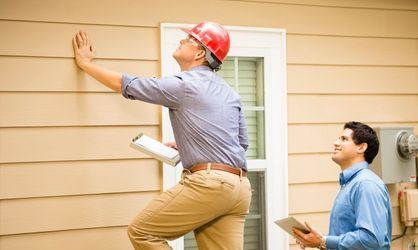 There are so many things that I would have never even thought to look at or check that a home inspection covers, especially being a first time home buyer. Logan was patient and willing to go over any and all questions I had for him throughout the process. I felt more confident about the home I was purchasing after the inspection. Thank you for helping me in my home buying process! We want to hear from you! Fill out our form and let us know what you liked about our inspection.